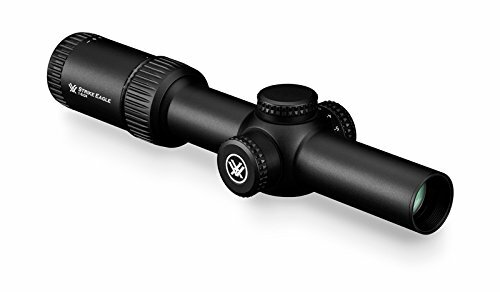 12 Best Rifle Scopes For AR-15 - Optics and Reviews for 2019! Best AR 15 Scopes Available in 2019! Using optics can greatly enhance the fun and precision of your firearms. With the increase in gun ownership and specifically the large increase in gun owners who buy AR 15 rifles, knowing how to find the best AR15 scope will be instrumental to improving your enjoyment and increasing your ability to do more with your new firearm. The AR-15 is a modular firearm platform and lends itself well to customization. Optics, including all types of scopes can really make a big difference for your accuracy and long-range potential, while making it easier to shoot at things closer in as well. The vast array of scope options and mounts, accessories and other add-ons in the same segment gives you a chance to further customize the AR15 exactly to your individual preferences and use case. This article will cover the basics on scope choices, and all the necessary information for you to make an informed decision about which optic to purchase and how to use it most effectively. Optics are a funny thing. You can find very cheap optics that work really well and never have a problem, but the consistency across the board for that optic may not be very good. The glass used in an optic can offer the same “rating” for a wide range of costs to the consumer. With scopes it’s less about the power or size of the glass and more about the quality of the coatings, the material and build quality and the proprietary systems and engineering of the optic that makes the price. That’s why you see very distinct price segments in the market for scopes of the same power and glass size. There are ridiculously cheap; scary, can’t-understand-how-they-can-price-it-that-way, cheap scopes. There are midrange scopes and there are very high-end scopes. There are very few producers who bridge any of those different segments. The quality of those is VASTLY different. But the base functionality is not very different (for short ranges). When choosing an AR 15 scope, there are few differences from the above model. With the modularity and the customization capabilities of the modern AR 15, gone are the days when you needed a “specialty scope” for the AR 15 that only fits that weapon. That said, the real “AR 15 scope” of this era, is a scope that accommodates the bullet drop and the performance of the 5.56x45mm cartridge. You can also find scopes that either are or seek to copy variants that are used in military settings. THIS is what is considered an AR specific scope nowadays. With the right scope mount, any scope can be fitted to an AR of any type. 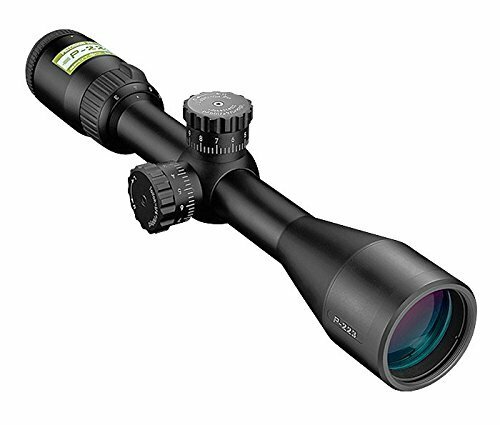 BARSKA 6.5-20×50 AO Varmint Target Dot Riflescope is a decent build quality, with a nice price of entry. 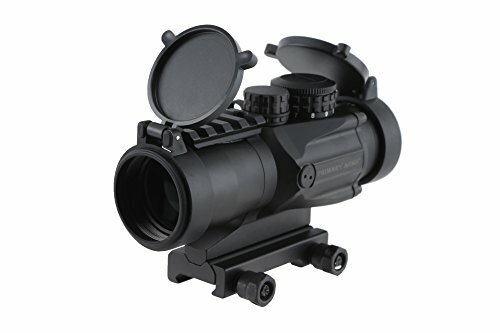 This is a lower end scope but competes with scopes 2 times its value. The simple Target dot reticle and the nice adjustability of the scope means you can get on target anywhere the 5.56/.223 cartridge can reasonably perform. Reticle is simple, which makes adjustments more difficult. The large magnification and the decently large objective lens gives good quality pictures despite lower tier glass, which allows good performance for low cost. For the money the BARSKA 6.5-20×50 AO Varmint Target Dot Riflescope is hard to beat, but it is definitely not an AR specific scope/reticle. That said, it is a good scope for hunters using the AR platform for game hunting. Monstrum Tactical 1-4×24 First Focal Plane (FFP) is a decent build quality, but a matching price, this is a well-balanced scope, it will get you on paper, and relatively accurately. This is a first focal plane that works well with the BDC reticle and the lower magnification to offer fast shots at short and moderate ranges. While it isn’t as good as the best 3-4 offerings in this list, it’s firmly planted in the middle ground and offers better quality than the low-end competitors. It is a solid option for those who know the power of low magnification and a lighted BDC reticle in combination. The quality construction doesn’t feature top tier glass but for the use case the Monstrum Tactical 1-4×24 First Focal Plane (FFP) is a very hard to beat offering. Very high quality comes at a price and this price is both justified and lofty for the Burris 200119 Eliminator III Laserscope. The electronic assists will literally make you a better shooter and the quick, easy work that comes from the range finding apparatus allows you to make shots you couldn’t make before without heavy calculations. It’s a gorgeous, powerful feature assisted scope that will help you do magic on long range shots and those where you need help determining the range. The electronic assists offer serious systematic benefits that you cannot downplay. This is an obvious winner for the tech side of things in this list. High magnification and a generous objective lens means you are going to hit what you’re aiming at. 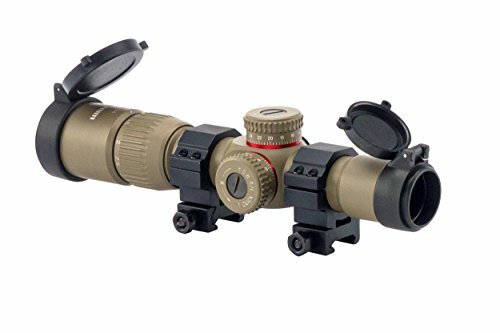 The distortion free glass fo the Burris 200119 Eliminator III Laserscope is premium quality and the technology is impeccable. 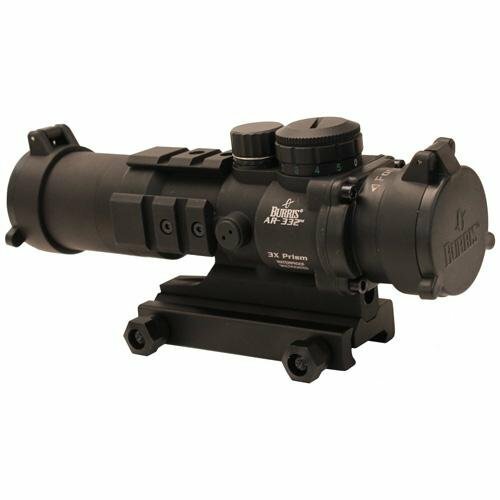 Burris 300208 AR-332 3×32 Prism Sight is a high-quality build in a good mix of technology and optics. The fixed magnification is great for most of what an AR shooter will need, and the light gathering is good leading to better FOV and nice consistent shot placement. The lighted reticle is a CQ/Ballistic style and the item is built specifically for the AR. A great AR specific option, this fixed only magnification offers a very good harmony between needed and wanted benefits for the AR 15 platform. The quick, straightforward design mounts easily in any AR configuration and the reticle is appropriate for the use case. 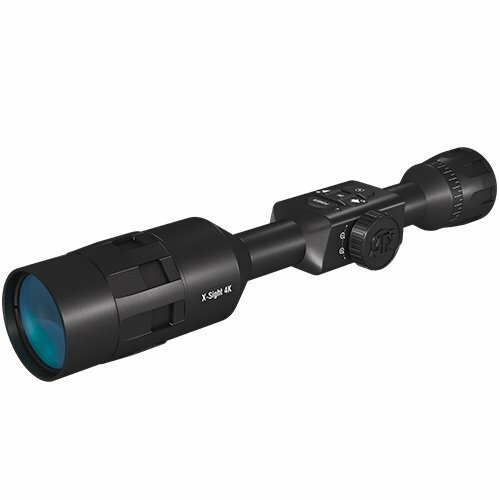 The pricing of the Burris 300208 AR-332 3×32 Prism Sight is great for the benefits received. A very harmonious choice for the AR 15 platform the Bushnell Optics is a great low-priced scope for use in the field with any AR rifle or carbine. The BDC reticle and the nice adjustment capabilities give an added versatility to this already quite good scope. 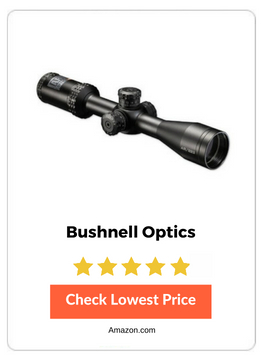 A bargain for what you are getting, this is a scope that truly benefits from legacy production experience and economies of scale that allow the best technologies to be perpetrated throughout all lines of the Bushnell company. The Bushnell Optics is a solid scope that’s great on the AR platform and doesn’t cost an arm and a leg. The reticle is a great Ballistic BDC build. 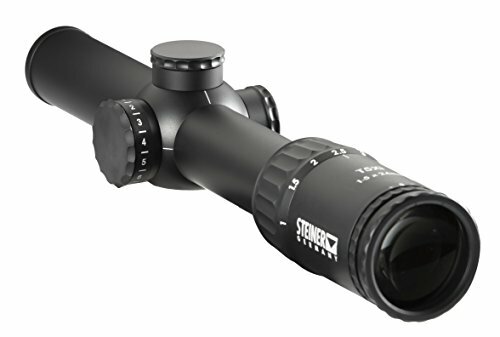 5X MAGNIFICATION: This prism scope has fixed magnification at 5x. ACSS STANDARD 5.56 / 5.45 / .308 RETICLE: Provides quick ranging, wind holds and moving target leads for .223 Remington, .308 Winchester, and 5.45x39. ILLUMINATION: A CR2032 battery illuminates the center through 5 red brightness settings and 5 green brightness settings. MOUNTING OPTIONS: 1913 Picatinny mount is included but ACOG, quick detach (QD), and standard bases can also be used. Primary Arms 5X Prism Scope is a great offering from a brand that has been an AR industry mainstay for years now. The high-quality fit and finish and the quality glass, despite the low to moderate price tag make this a bargain in the arena. A great multiuse reticle and the warranty (3 years) puts this scope over the top for the serious AR 15 shooter. A fixed 5x and a great prism type electronic projection paired with very good reticle and a high-quality build from all aspects means this is a true contender for the vast majority of what AR shooters are wanting in an optic. Primary Arms is a great company in the AR industry and they offer a good warranty at 3 years. A connected device that works in the IoT (Internet of Things) to give advanced functionality unlike most shooters have ever experienced in their lives. The ATN X-Sight 4K Pro Smart Day/Night Rifle Scope can do more and see more and archive more than most people will ever have a need for. But that’s why it’s so popular: it forces you to get better through having more information, archiving your successes and failures and getting better by reexamination and through excellent, integrated technologies. It’s a new breed of optic that connects you to all the other available technology you already are deploying. This makes you a better shooter by feeding integrated information through the IoT (Internet of Things). 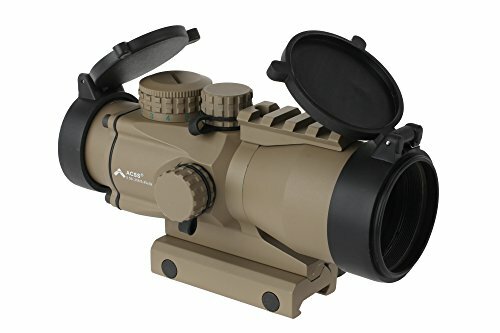 Overall, with the ATN X-Sight 4K Pro Smart Day/Night Rifle Scope this allows you to harness the power of the connected infrastructure both in real time and as a training tool and historical archive for later examination. For those who want something that can do more without costing more than $500, the Vortex Optics Strike Eagle 1-8×24 Second Focal Plane Riflescope is a compelling choice. With the 1-8 magnification that fits right in the sweet spot for the AR platform and the compact rugged outline of this high-quality scope. A well-known brand and an AR specific build with a very capable set of glass and a highly adjustable reticle that offers 11 illumination settings. Compact and rugged, this is a premium choice for those who want more but cannot justify a higher price tag. This gets you into the game with the optimized delivery for the AR platform and the very high-quality build and fit and finish. From 1x for tactical needs to 8x for hunting the Vortex Optics Strike Eagle 1-8×24 Second Focal Plane Riflescope is is a great all-in-one option. 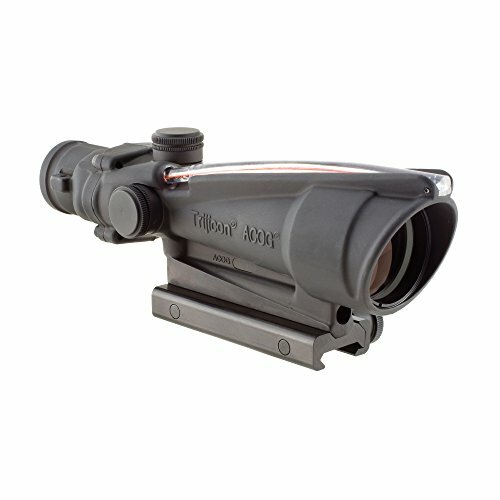 3X MAGNIFICATION: This compact prism scope has fixed 3x magnification. ACSS 5.56 CQB RETICLE: The ACSS CQB reticle can be used with 5.56 NATO, 7.62 NATO / .308 Win, and 5.45x39 calibers. ILLUMINATION: Powered by a CR2032 battery and can be adjusted between 12 different brightness settings. 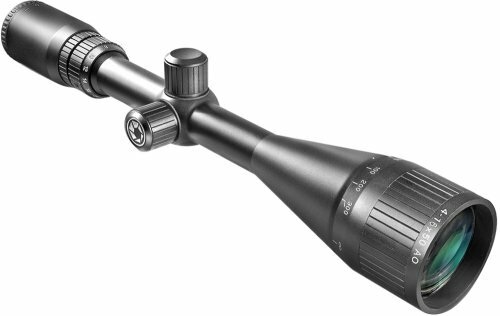 DURIBILITY: Designed to handle heavy recoil, this scope nitrogen purged, waterproof, and fog resistant. The Primary Arms 3X Compact Prism Riflescope is made for the AR 15 and the quality for the money is exceptionally hard to beat. Primary Arms has made a great name for themselves as an AR centric company that delivers on consumer needs and offers great value for dollars spent. Primary Arms has made a great set of AR specific optics and this is no exception. It is made directly for the AR 15 and the feature set covers EXACTLY what most shooters want in the platform. It offers a very good reticle, a 3x that still works for moderate distance threat interdiction and can be effective in CQB with the right understanding. Overall the Primary Arms 3X Compact Prism Riflescope offers a quality fit and finish and a great 3-year warranty. Few optics will ever reach the rarified air that the Trijicon ACOG occupies in the top tier of rifle optics. The proven performance in just about every conflict of the past 25 years, this scope has legitimate chops and a loyal fan base that spans across the globe. Expensive? Yes. Proven? Without question. Proven in combat. This is a legacy product that has a history that may not ever be matched by another scope. There is rarely a scope with the kind of experience and longevity of this, with the ACOG being one of the best performing optics in the modern era. Trijicon ACOG is the original CQB (Close Quarters Combat) optic and the feature set is still outclassing most scopes with a design 15+ years newer. Steiner T5Xi 1-5 x 24mm Riflescope, 3TR 5.56mm Reticle is capable as it is expensive and as optimized for the AR 15 platform as a scope can be. 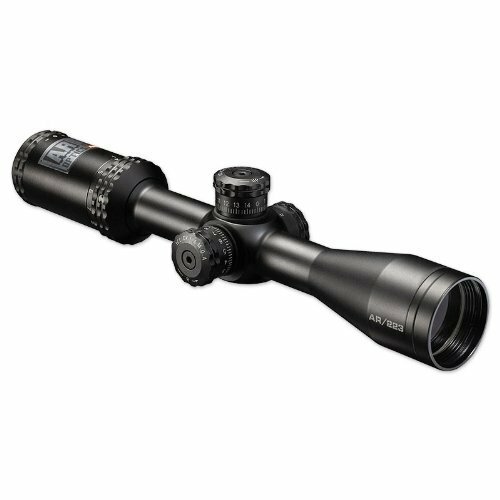 Superior quality optically to just about everything on this list and a reputation for overengineering, high quality glass and exceptional customer service, this is a scope that is as rugged as it is opulent. When you take this many good quality components and assemble something with the engineering prowess that this employs and you do so in a factory known for their almost overwhelming attention to detail and impeccable service, you get an optic that is superior to most other scopes for the AR platform in every way. Steiner T5Xi 1-5 x 24mm Riflescope, 3TR 5.56mm Reticle has the same German engineering that Steiner was made famous by, and it has the modern, AR optimized design and implementation that will make it a legend. Good quality, nice feature set and easy adjustment on the fly in real time scenarios, the Nikon P-223 3-9×40 Mate BDC 600 is a great scope for a lot of rifles, but the BDC and the .223 optimization make it nearly perfect for the AR rifle. Nikon is no slacker and they put out a very good quality product year after year. This is a great addition to their line. A very good scope made exclusively for the AR platform and optimized for delivery of the .223. 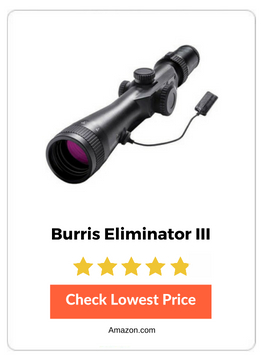 This is a great choice because it’s inexpensive and has all the “big boy” features that you see on scopes going for 2-3 times the cost of this one. The great adjustability of the Nikon P-223 3-9×40 Mate BDC 600 isn’t too far out of the AR’s league and the Bullet drop compensation reticle is a winner. There are a few basic components to a scope from an overall level of understanding. First is the Power. Power means the magnification of the glass involved to the eye of the user. If it is a 3x scope, that means it is magnified by a factor of three to the eye through the scope as opposed to the real world viewpoint. Objective lens size is another component. Given the same magnification, the larger the objective lens diameter, the greater light collecting capabilities the scope will have, and therefore, the more definition you will be able to have in the lens picture. Tube size is important also, at least for the first time you purchase the scope, as it will dictate the rings and mounts you need. There are 30mm and 1-inch tube sizes; each uses a different ring. Note: it’s important from a mount perspective to have a high enough mount to compensate for the diameter of the objective lens you are using. There are scopes now with 80x magnification. That means that you can legitimately see at 1000 yards, a target as though it were at under 25 yards. That’s pretty insane. It’s not necessary for a discussion on the AR-15 as the gun doesn’t even compete at that level and the ballistics are essentially useless at that distance. That said, magnification will be important. Having a 3-4-5x magnification would be more than enough for most normal applications of the AR platform. The scopes in this list generally range from 1x to 20x and most are variable ranges. 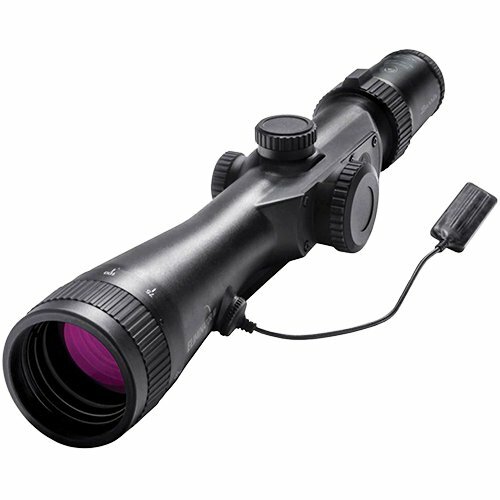 Glass quality will affect the magnification at greater distances, but usually won’t be a problem at less than 250 yards. That means you can buy a very inexpensive scope and be ok without too much distortion or difficulty out to about that range (250 yards). Beyond that range, you will want to really be choosy about your quality of glass. The prices grow exponentially as you improve the glass refinement, the quality of manufacture and the process of manufacture. There have been a bunch of new types of reticles in the recent years, after having used a simple reticle of “Crosshairs” for years. A plex reticle gives thicker outside lines and towards the center offer a thinner crosshair. A target dot offers a simple crosshair with a dot in the very center. A BDC or Bullet Drop Compensator reticle offers easy quick shots because the bullet drop is built into the overlay of the FOV (Field of view) of the scope. Low magnification and BDC reticle offer near instantaneous shots for experienced uses that are on target. Mil dot gives precise changes in mils with a corresponding dot to allow easy adjustment on the fly. There are hundreds of reticle types, and each has a benefit. Generally, some sort of adjustment compensation reticle that allows easy calculations makes the most sense for the AR platform, as the purpose of the rifle is to make quick, accurate shots in a short to moderate range and this will help you to accomplish that with an optic. It’s also why lower magnification makes sense for AR’s, though, not all of the scopes on this list are low magnification scopes. MRAD is a shortened version of the word Milliradian, or Mils. It differs from the other common measurement for changing or “doping” your scope that is known as MOA – Minutes of angle. Angular units of measure are important for shooting and ballistics, especially when talking about precision shooting at a large distance. The angle remains constant throughout the distance, but the measurement that corresponds to that angle will grow, the further out you get. MRAD conceptually is equivalent to 6283 Milliradians in a circle (360 degrees) That means to cover the entire breadth of the circle you would need to cycle through 6283 of the MRAD adjustments. NATO rounds this number to 6400. MRAD is kind of like the metric system of measurement, for the scope world. MOA conceptually is equivalent to 21600 minutes of angle in a circle (360 degrees), or 60 minutes of angle per degree in the circle. MOA is kind of like the Imperial system of measurement, for the scope world. MRAD and MOA are simply different methodologies of adjustment, based on the way each method measures the individual component of a full 360 degree picture. At 100 yards, 1 MOA (Minute of Angle) is 1”. So a firearm that shoots a 1 inch group at 100 yards is called a MOA gun. That same measurement moves to a 10 inch group at 1000 yards if the gun is a MOA rifle. It is a very straightforward measurement scale. At 100 meters, 1Mil is 10 cm. That same measurement is 10 times larger at a distance of 1000meters. So a 1Mil rifle will shoot a 10cm group at 1000 meters. Note the change from yards to Meters. Note also, that in the world of scopes, these measures are built into the reticle on purpose and offer the same adjustment in the turrets for windage and elevation. The point being: having a static measurement that can be referenced when “doping” the scope in live, real time scenarios, or when dialing in the scope ahead of time. At 100 yards when adjusting a scope by a single MOA/4 Clicks you move the point of impact by 1 inch. The single click is equivalent to ¼” so a single click adjusts your scope point of aim to point of impact by ¼”. At 100 meters when adjusting a scope by a single MRAD/10 Clicks you move that point of impact by 10cm. The single click is equivalent to .1 Mil. So, a single click adjusts your scope point of aim to point of impact by 1 cm. This is important for on the fly scope adjustment in the real time scenarios like precision match shooting and hunting. Focal plane for the purposes of this article essentially equates to the following: how well you will see the FOV (Field of View) relative to the reticle size. This is not a full, or even a completely accurate explanation of the idea of focal plane. For the purposes of this article, there is first and second focal planes. The Second focal plane means the reticle size never changes as you magnify the image in the scope. It’s great for long range shooters that want an easy shot with a familiar reticle size. With second focal plane, if you understand the ballistics of the round/rifle and the scope internals, it will allow for very accurate shots, and the quick precision shot will be easier. First focal plane means that the reticle changes size based on the magnification you adjust to. This allows a shooter to see the target and reticle with the same type of measurement regardless of the power of the magnification. First focal plane will allow for very quick mental adjustments for shots. This also means that when the lowest magnification is used, you may have a reticle that is so small it cannot be read well. At higher magnification, you will lose some of the reticle making it difficult to take some shots. Each type of focal plane will have advantages and disadvantages. If you are ranging targets, first focal plane scopes make sense. If you are well educated on the ballistics of the round, the easier quick shot can be accurately taken with a second focal plane scope, without losing your reticle overlay. A scope like any other high-end accessory or modification, offers you the unique ability to customize your AR15 to your exact standards and to meet certain specifications that will allow you to improve your performance. Knowing how to choose the best optics for AR15, scope or otherwise, will give you peace of mind when you do make that decision and want to put it into actual use. 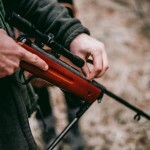 The increased capacity you will have to shoot long range targets or utilize the rifle for hunting will be immediately apparent as you hit your first target and will give you a long-lasting sense of accomplishment as you land your shot time after time. This article covered the most important basics to the selection process, but it will be a culmination of the experience you gain as you shoot over the years and the knowledge you will receive as you dial in your scope in real time that will ultimately make you a better shot. A scope is an accessory that allows for customization of an AR15. There are many different models available so read through these reviews before making your decision! 14 Best AR 15 Cases Reviewed!